Allo is being updated in Google Play, aimed at users who are already running Android 7.0+ “Nougat.” Once updated, users will find support for Android’s built-in split screen feature (aka Multi Window), as well as inline replies from the notification shade. To bring up Allo in split screen, open the app, then hold the “recent apps” button on the bottom of the display. On Pixel devices, it is a shaded-in square. On Nexus or other devices, it’s a basic square button. 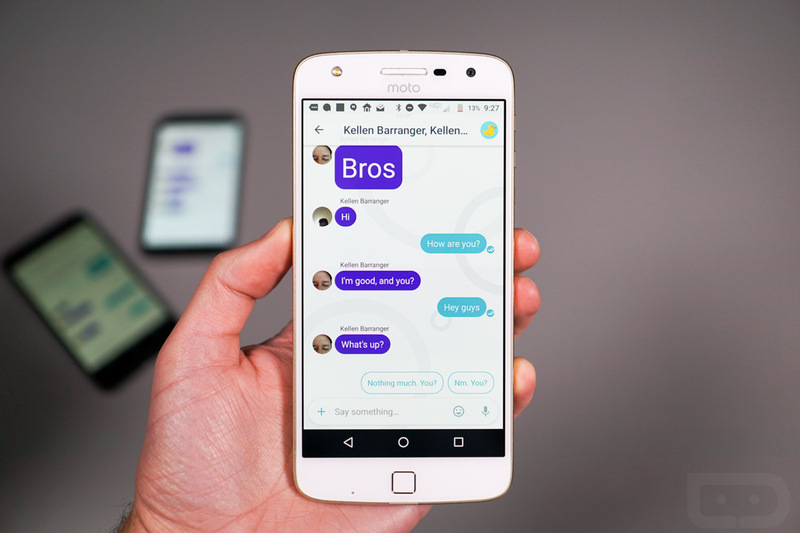 Once in split screen, you can open up any other app you may need while still having your Allo conversation going. For replying inline, this is pretty straightforward. Once you see a notification from Allo come in, pull down on the notification shade, then hit “Reply.” You will have your keyboard automatically pull up, then get to typing. The update isn’t live for me yet in Google Play, but should be there soon for all.